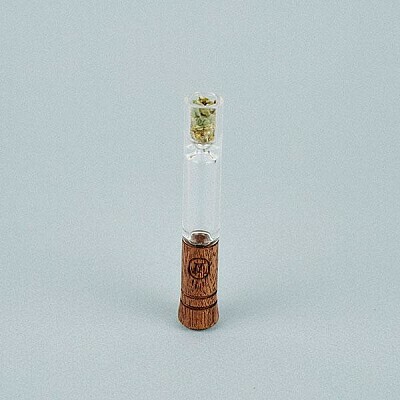 Portable, efficient and elegant, the Marley Natural Glass & American Black Walnut Taster is an excellent companion for any occasion. The precisely designed form is finished with natural carnauba wax. Detachable parts allow for an easy upkeep. Fits perfectly inside the Marley Natural American Black Walnut Holder.